Leading advertising, branding and digital marketing agency Austin & Williams has been named a “Great Place to Work” by the Great Place to Work Institute and is one of just 42 advertising and marketing companies nationwide to receive the designation. 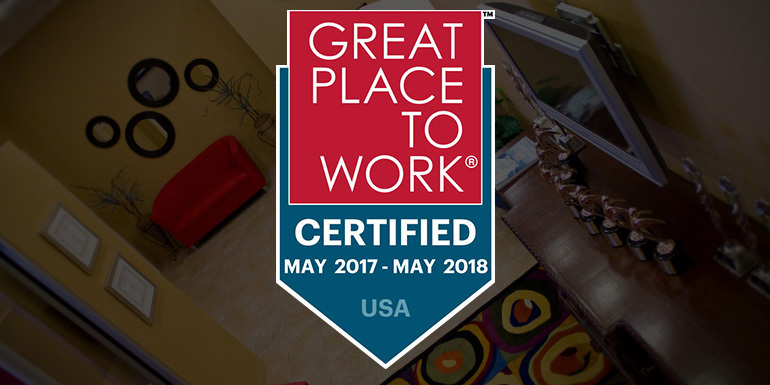 The certification makes Austin & Williams eligible for inclusion in multiple lists to be published over the next 12 months, including the revered Fortune 100 Best Companies to Work For and People Magazine Companies That Care. The results of an employee survey conducted by The Great Places to Work Institute were overwhelmingly positive, with A&W’s 42 team members awarding ratings of either 99 percent or 100 percent satisfaction to questions including employee recognition and culture, workplace pride, perception of agency leadership and benefits. Austin & Williams also stood out in employee reviews for its commitment to a strong work-life balance, its corporate coaching program and its culture committee, which is responsible for promoting its social and community support programs for organizations including the Long Island Cares Food Drive, Dress for Success, walks for the Arthritis Foundation, Operation Christmas Child, Make-A-Wish and more.